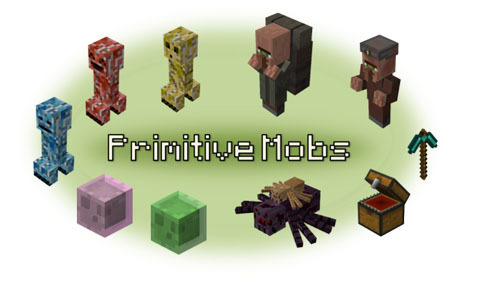 Primitive Mobs Mod 1.12.2/1.7.10 adds a lot of different mobs that are so familiar to your Minecraft. Those mobs added seem to have vanilla look but they add completely new features and behaviour which can benefit the player or the opposite. 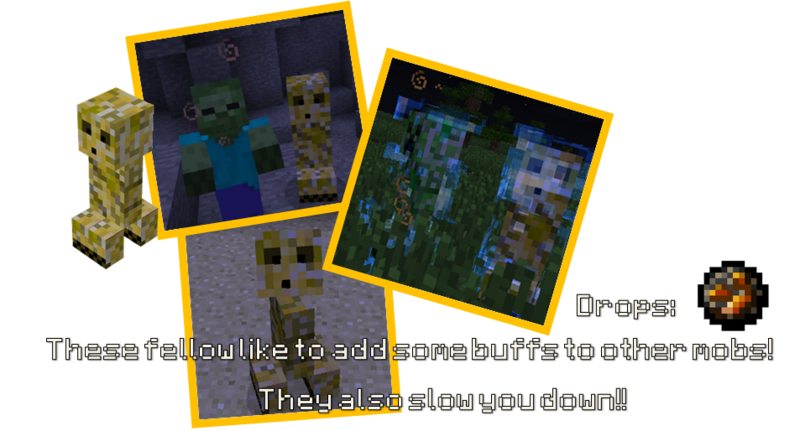 Before you start checking them out remember: You don’t have to like them all, as mobs can be turned off. Also all mobs will spawn in ExtraBiomesXL biomes when that mod is installed. 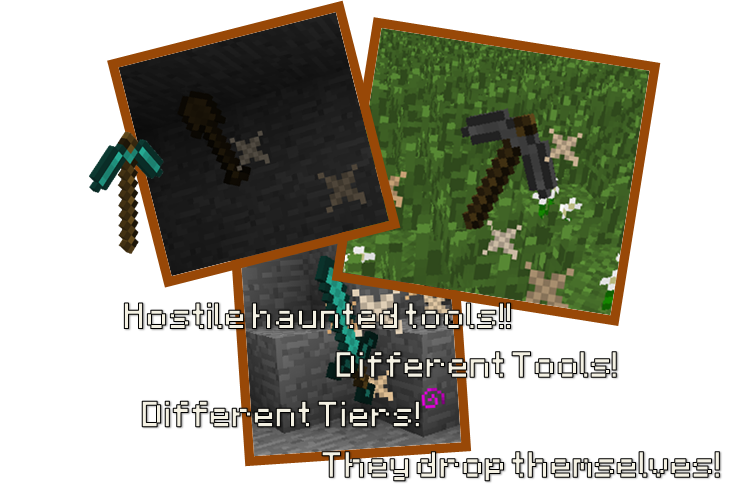 Creepers, Skeleton Warriors, Spider families and Haunted tools spawn in all biomes at night/dark places. Chameleons spawn in Jungles and on Plains for testing purposes. Spawn rates of all mobs are determined by taking the average rate of mobs and multiplying that by a certain amount so my mobs should always come in appropriate amounts and not too often. It has been tweaked according to their difficulty and usefullness. Sheepman was nerfed a little bit. You can only make it not despawn by giving it a block of gold. They trade random stuff as they choose random trade items from all testificate classes. Same health as any other testificate: 20. These don’t act like normal Testificates apart from the fact that they are scared of zombies. You can’t trade with them and they only appear underground. When you find one, it will follow you around while crying for help (crying particles). You can choose to leave it to die or bring him back to the surface (above y = 60) to make him happy. 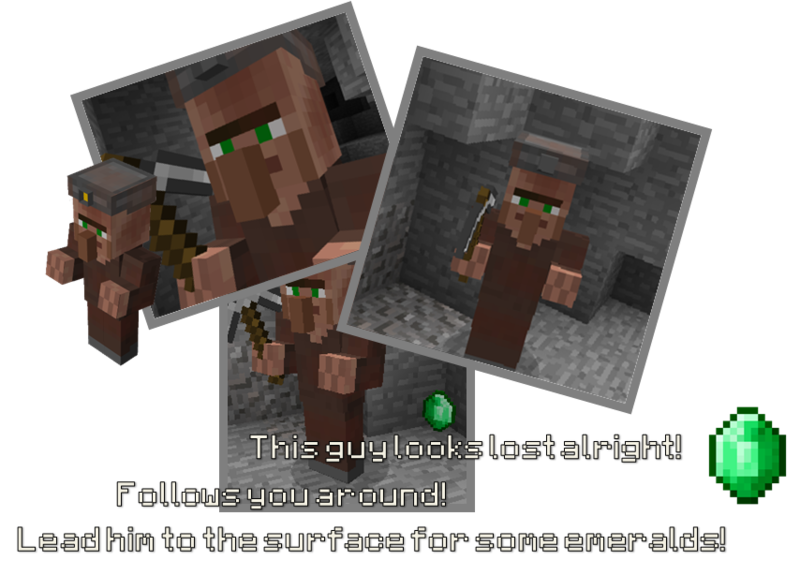 When on the surface, right-click it for your emerald reward (between 1 and 6 emeralds)! You can only help every Lost Miner once. Higher tiers are obviously more rare. Mimics are chest-like enemies which spawn in caves. 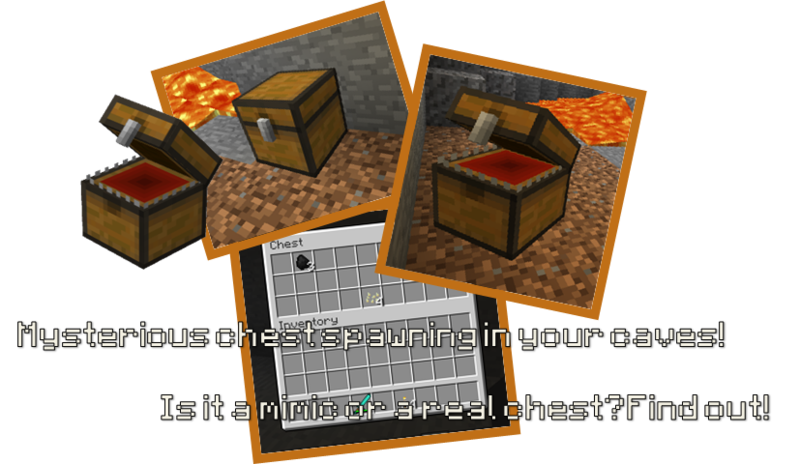 They will appear as normal chests. When the player right-clicks them, 2 things can happen. They change into a normal chest containing random loot (25% chance) or they will change into an enemy mimic and start attacking you (75% chance)!!. There is a large variety of items that the slime can contain. The colour and emitted particles depend on that item. Details on items coming soon…. Mother Spiders spawn with 0-6 baby spiders. They are quite strong and will do anything to protect their children. A Mother Spider will attack players on sight or when one of her babies is being attacked. One baby spider will always be on her back. Don’t worry they are rarer than normal creepers. These little suckers jump around beaches. They are like little parasites as they will grab onto the player’s head when approached! Then they start sucking your brainzz like zombies!! Punch them to remove them from your head! Larger slimes are more dangerous. When approached they actually act like normal creepers. That is… when they are alone. These guys act like supporters for other mobs. 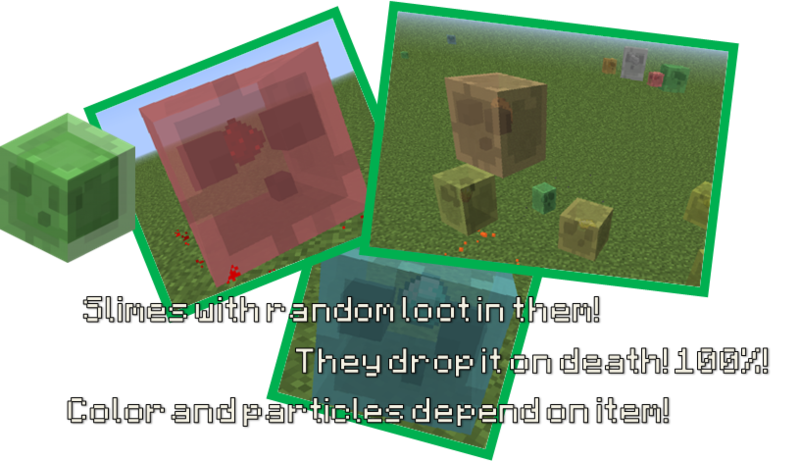 When there is another hostile mob close, they will follow it and add the following potion buffs to that mob: Strength 1, Fire Resistence 1 and Speed 1. When that mob is destroyed they will choose another mob when one is close, so make sure to get rid of them. Details: They look slightly different from normal skeletons and are always prepared for sunlight. You will always find these guys wearing a leather helmet. If you look closely they have a sword on their back, with a reason. 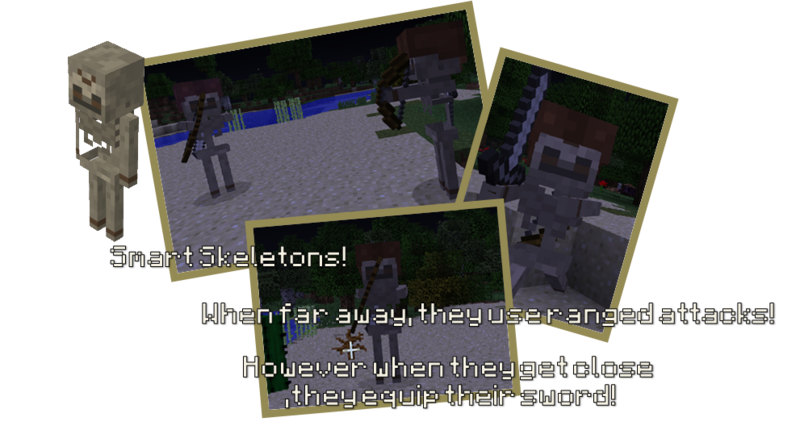 When further away they shoot arrows using their bow like any other skeleton. However when the player gets close to strike, they quickly switch to their sword! Also notice that they will back up when you get closer. When the player gets further away again, they grab their bow again! Smart little fellows. Extra: They can get enchanted equipment. Details: These mysterious floating books are long forgotten pieces of work. They now roam the worlds without any purpose. When encountered they don’t attack the player instantly. Only when provoked they attack. They are pretty easy to defeat and on defeat they drop a randomly enchanted book! All enchanted books are within the limits of the original miecraft enchantments. High level enchantments are more rare however all enchantment types have equal chances of getting dropped. Extra: They can get enchanted equipment. NBT edit should enable you to specify the drop. Bugs: Killing it within a small amount of time after it has been spawned will result into a enchanted book without enchantment. I tried using item/book.png as a texture but it results into z-fighing. So it uses a new texture. Details: These fellows spawn all around the world, however very rarely. Like any other villager, they walk around and like to settle in houses. This guy uses black magic to summon these eggs. The Summoner that you encounter is not his true form. He is actually a cursed villager. 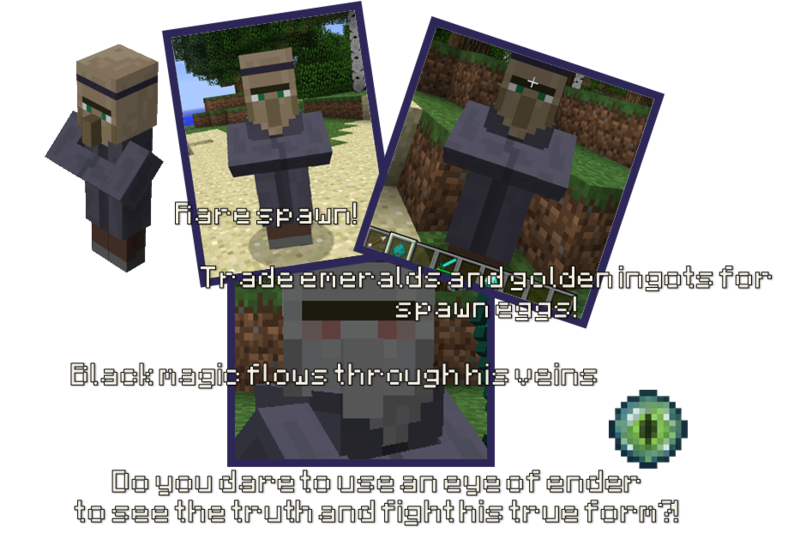 To see his true form you can give him an eye of ender which will reveal the truth! WARNING: This triggers a mini boss. He will instantly attack by spawning minions. Try to defeat him or look below for details. When the player uses an eye of ender on a Summoner it becomes a Cursed Summoner. This true form of the Summoner will become hostile although it will not attack you himself. He summons different mobs(minions) through different phases. They also create a shield around them. The player can destroy the shield in 2 hits and the player can always attempt to attack the summoner instead of killing the minions. It will first go into Phase 1 then Phase 2 and finally Phase 3. He will spawn 4 Skeleton Warriors with increases strength. Decently easy fight if you have good armor. When the summoner is elow 60 health he will go to Phase 2. He will spawn 4 Haunted Diamond Swords and 1 Support Creeper. 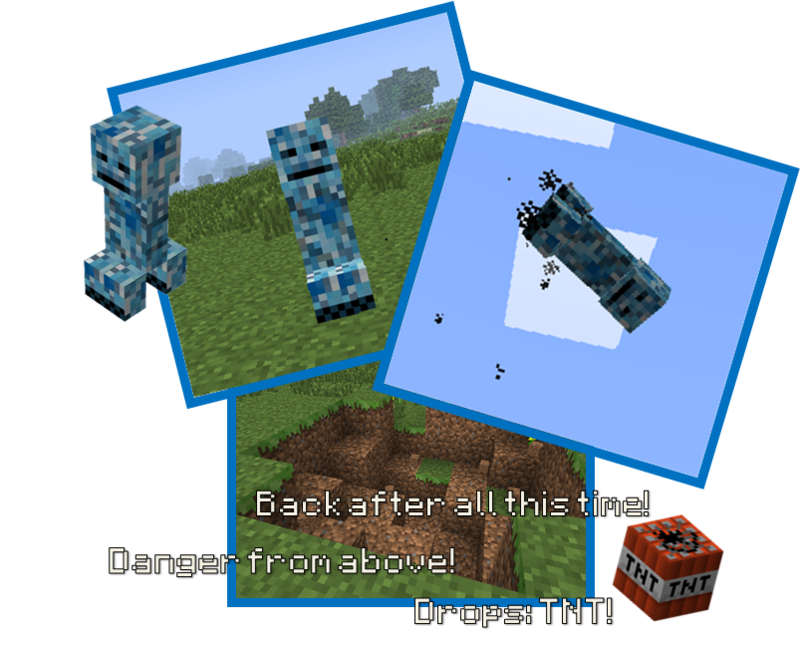 The creeper will slow you down while the diamond tools do loads of damage. Be ready to take some damage. When the summoner is elow 60 health he will go to Phase 3. He will spawn 2 Festive Creepers with regeneration and will limit your view. 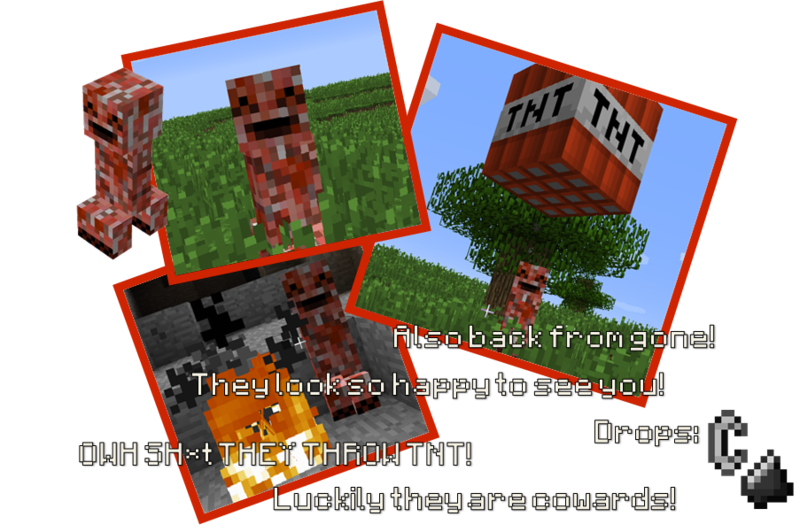 The creepers will start spamming tnt while you can hardly see. Very dangerous part of the fight. The summoner will renew its shield randomly when you destroy it. However you can actually kill him this time. Extra: They will settle in villages. Bugs: They can be quite common in custom biomes. Details: Well, these guys are quite aren’t they? This is what happens when a villager spends his life ripping off players…. they turn into sheepman and go to hell. Lovely. So these guys are doomed to roam the Nether but they still love shiny things! The only shiny thing to be found in the Nether is…. 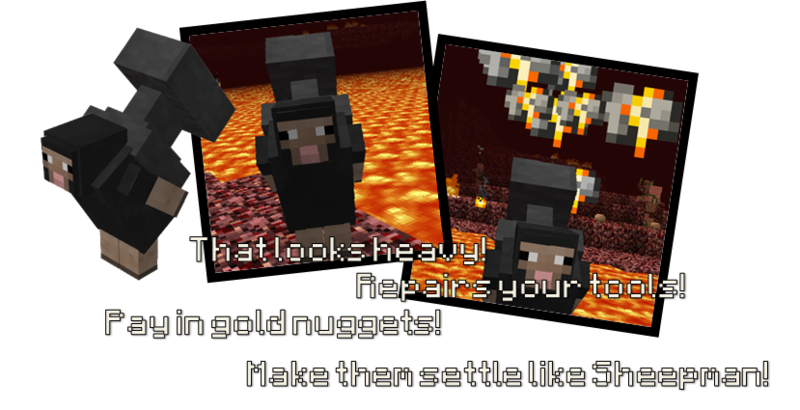 gold nuggets (from zombie pigman). 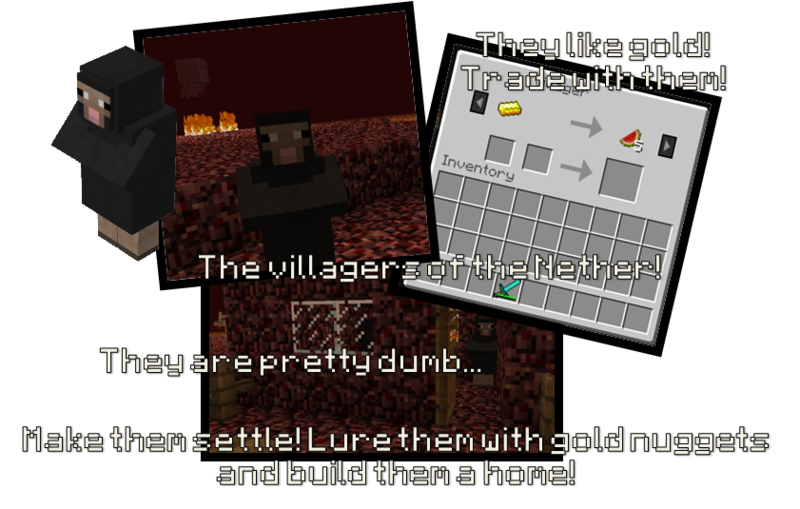 They combine them into gold ingots and trade with those. How they got the other stuff? Magic. 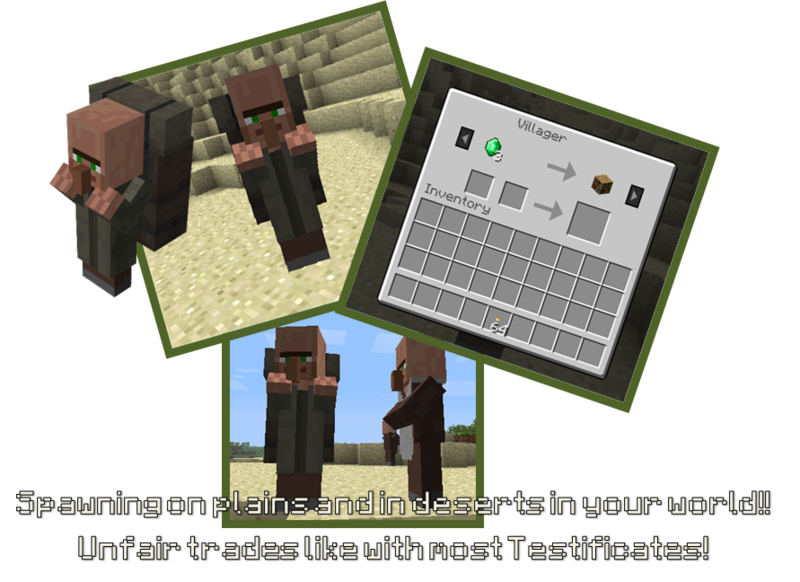 Anyway this makes trading with them way more profitable than with villagers. These guys will follow you around when you hold a gold nugget. 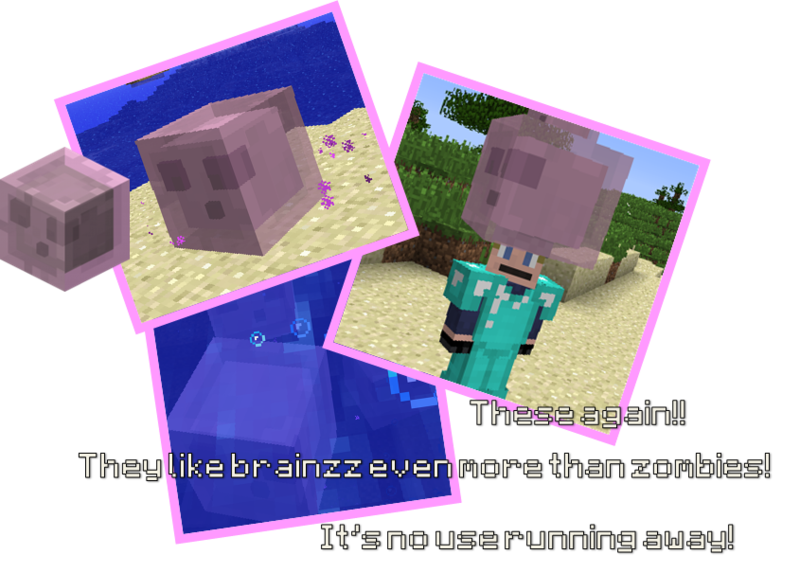 They run away from zombie pigmen though. They actually despawn like mobs so….give them a free gold nugget to make them not-despawn! Then lure them through a portal or make them a house and they will not despawn so you can always trade! Extra: It’s a great Gold Sink! Bugs: They can still change into testificate zombies when killed by a zombie. Details: That looks heavy doesn’t it? These guys are like Sheepman however they do not trade like normal. They love smithing and keep doing it even in the Nether. Because they travel around a lot they take their anvil with them. How did they get it? Again… magic! You can repair your tools for specific payment of gold nuggets. If you don’t have enough gold nuggets he will emit “disapproval” particles and not repair. The specific costs are below. Just right-click him with the damaged tool, then he will repair it and automatically take the payment. Like the sheepman you can make them follow using a gold nugget and giving them one for free will make them not-despawn. However they are rarer than normal Sheepman. Don’t rapid click him when repairing!! It can result into double cost for some reason! They can still change into testificate zombies when killed by a zombie. The trading system might not be bug free yet. How do you get it (at least the legit way)? The Mystery Egg can only be obtained in survival mode through killing a Cursed Summoner. When right-clicked it will spawn your own baby Support Creeper! Like any animal in the game, it will grow up after some time. 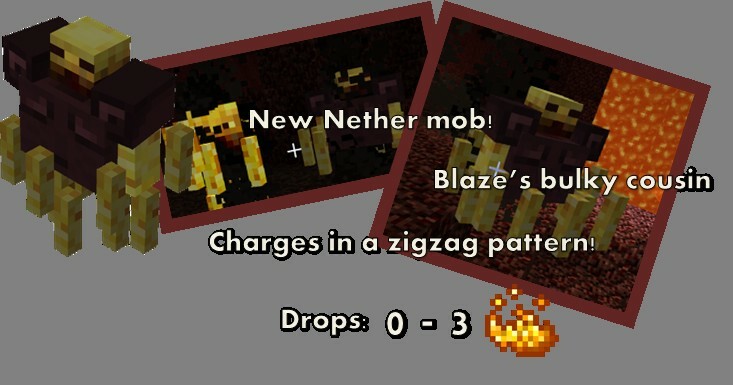 The Support Creeper will give you the same buffs as they give to mobs but only when they are following you. To make “stay” just sneak+right-click them. They are immune to fire. There is a config file in the config folder once you run the game with the mod installed once. 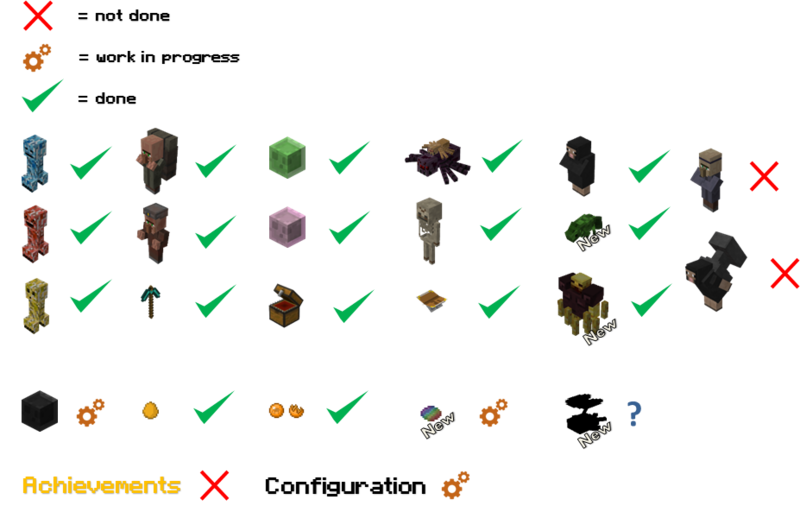 Use it to disable mobs, change mob spawn frequencies and change the item ID of the Spider Egg (700), Spider Egg Shell (701),Mystery Egg (702) and NameTag (703). ExtraBiomesXL, Highlands and BiomesOPlenty support will be automatically applied when installed. Put the jar file of Primitive Mobs Mod into mods folder and then run Minecraft. Done!